There have been some interesting updates and talks given on Electron recently, here's a roundup. We have restructured and standardized the documentation to look better and read better. There are also community-contributed translations of the documentation, like Japanese and Korean. Related pull requests: electron/electron#2028, electron/electron#2533, electron/electron#2557, electron/electron#2709, electron/electron#2725, electron/electron#2698, electron/electron#2649. Since v0.33.0 Electron ships with Node.js 4.1.0. Modules relying on node-pre-gyp can now be compiled against Electron when building from source. Electron now provides builds for Linux on ARMv7. It runs on popular platforms like Chromebook and Raspberry Pi 2. Related issues: atom/libchromiumcontent#138, electron/electron#2094, electron/electron#366. A patch by @jaanus has been merged that, like the other built-in OS X apps, allows creating frameless windows with system traffic lights integrated on OS X Yosemite and later. After the Google Summer of Code we have merged patches by @hokein to improve printing support, and add the ability to print the page into PDF files. Related issues: electron/electron#2677, electron/electron#1935, electron/electron#1532, electron/electron#805, electron/electron#1669, electron/electron#1835. 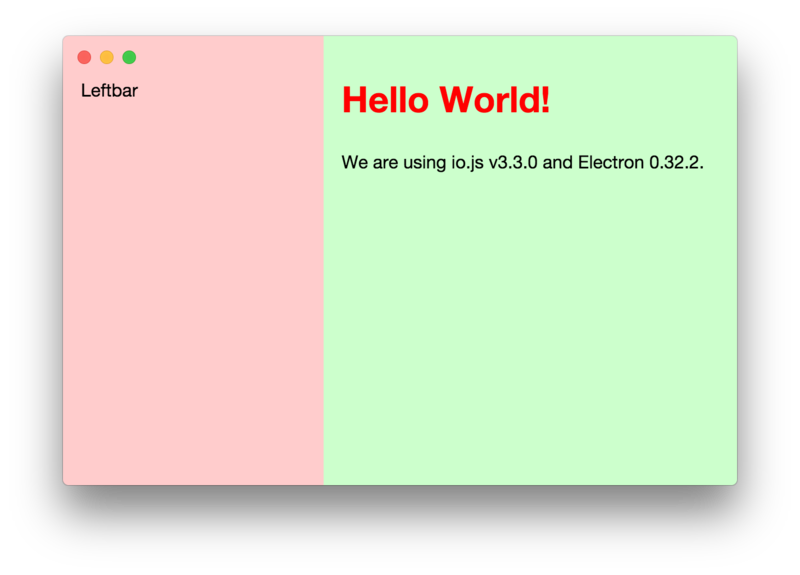 Atom has now upgraded to Electron v0.30.6 running Chrome 44. An upgrade to v0.33.0 is in progress on atom/atom#8779. GitHubber Amy Palamountain gave a great introduction to Electron in a talk at Nordic.js. She also created the electron-accelerator library.